Expand the side panel of this map to select and view the alternate route: that is the icon to the left of the map title. Metro Seattle Gamers is located on the northern edge of the Queen Anne district of Seattle in the office building over the main pier of the Nickerson Marina. The marina is located on the south side of the Lake Washington Ship Canal and abuts the South Ship Canal Trail. We are about 1/3rd of a mile east of the Ballard Bridge and one block north of West Nickerson Street. From West Nickerson Street turn north onto 11th Avenue West (which looks like an alley and is easy to miss) and go one block, crossing the South Ship Canal Trail (please stop and look both ways for bicycle traffic) to enter the Nickerson Marina parking lot. Coming from the west the left turn from Nickerson to 11th Avenue is tight; drivers might prefer the alternate route. Alternate route: take West Nickerson Street to 6th Avenue West, go north one block on 6th Avenue West and turn left (west) onto West Ewing Street. Go west on West Ewing Street (a mostly unpaved street) past the Foss Shipyard to its end and turn right, crossing the South Ship Canal Trail, to enter the Nickerson Marina parking lot. Note: when coming southbound on 15th Avenue West (the Ballard Bridge), the route to reach eastbound on West Nickerson Street is to take the first exit to the right at the south end of the bridge, then take the immediate first left onto the Nickerson Street Overpass that crosses above 15th. Stay right to remain heading eastbound on West Nickerson Street (the map above now has a toggle to show this route; scroll down the list of map controls to see it). 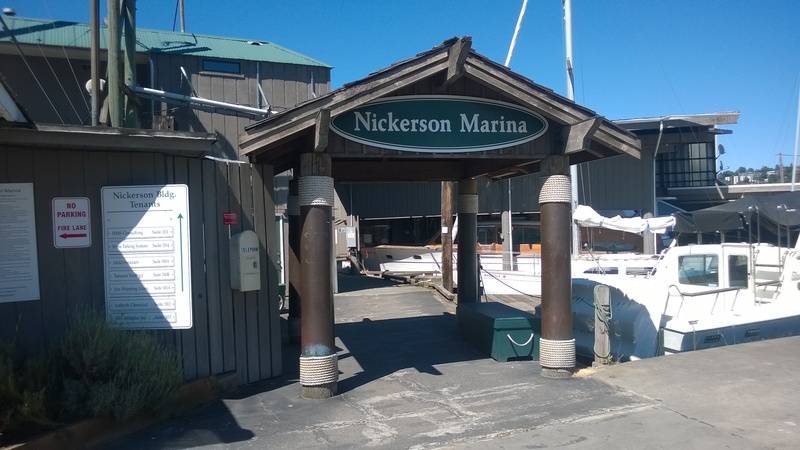 From the Nickerson Marina parking lot walk into the main entrance of the marina itself, turn left under the marina arch (pictured below), and walk down the dock to the elevator. We are on the second floor of the office building in the marina. Note that the elevator will be open during weekdays 8 am to 6 pm. 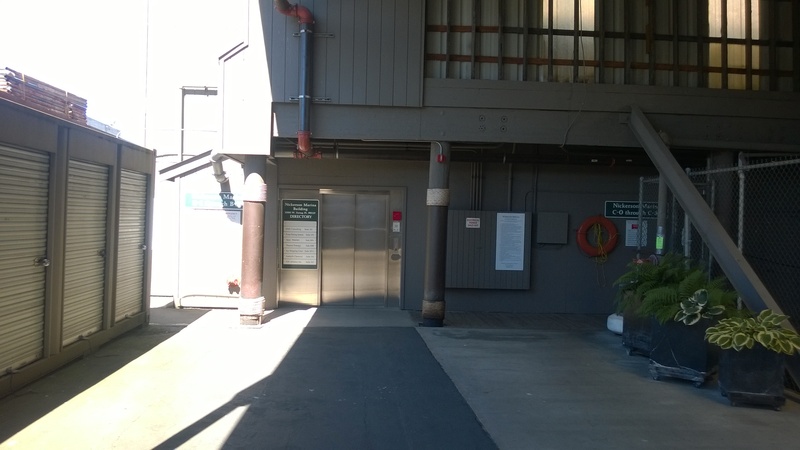 On evenings and weekends the elevator will be open according to the club's schedule. If the elevator is not open contact the club to gain access. Metro Transit Routes #29, 31, and 32 stop one block away next to the intersection of West Nickerson Street and 11th Avenue West. The Metro Transit Rapid Ride D route has a bus stop 10 minutes walk away at the south end of the Ballard Bridge.